If you’re looking to keep your face in its best shape throughout the year, proper care is a necessity. While you can head to the spa or salon for special treatments, having the option to do the upkeep on your own offers flexibility and added convenience. The best way to stay on top of your look is to invest an effective face-lifting device to use at home. Before you decide whether to invest in a microcurrent machine, it’s important to understand how the technology works. Microcurrent treatments have a long history, dating back to 2500 B.C. the Egyptians realized that electric fish could be used to help treat pain, and began experimenting with microcurrent treatments. They later developed to provide cosmetic benefits, as well. Microcurrent technology works by mirroring the exact amount of electricity given out by your body’s natural currents. Microcurrent treatments sync with your body and work in harmony with your body’s electrical system. Microcurrent treatments work as a kind of re-education for your facial muscles by stimulating them with small amounts of electricity. This process works to re-establish muscle memory naturally by strengthening and defining facial muscles. Microcurrent technology works by increasing the amount of ATP, muscles’ only power source, therefore boosting cell metabolism to plump up slack facial muscles. You stand to gain many benefits when you use a microcurrent machine. Through the process of syncing with your body’s electrical system to revamp your facial muscles, microcurrent technology addresses the unwanted signs of aging. Your facial muscles will be flexed and relaxed in order to promote strengthening, firming, and reductions in toning slack and sagging. Microcurrent does not only offer benefits to your appearance but also works to improve the overall health of your facial muscles. The process will increase the supply of vital nutrients reaching your muscle tissue, improve blood circulation and the quality of your skin. Using microcurrent machines can restore your skin’s lost energy to reduce the visible effects of aging including fine lines, wrinkles, sagging, and loss of elasticity. Helping with Lymphatic drainage and removal of excess fluids and toxins. Increasing skin hydration to address issues such as stretch marks, blemishes, and scar tissue. Reducing the appearance of puffiness and dark circles around the eyes. When you begin your search for the right microcurrent machine to add to your collection, you will be faced with many options. It’s helpful to know what to look for in order to choose the best machine for your specific needs. Professional Quality: depending on your purposes and level of experience, you may want to think about investing in a professional-grade machine. If you will be using your microcurrent machine for business, this is definitely the route you will want to take. If you will be using your machine for personal use at home, investing in a professional-grade model may not be necessary. Pain Relief Features: microcurrent technology can be used for more than keeping your facial muscles lifted. If you experience pain, try searching for an at-home device which treats pain as well as keeping your skin tight. Preset Treatments: unless you’re an expert in microcurrent treatments, it may help to invest in a device which comes programmed with preset treatments. This way, you can test the preset options to learn more about what you like and works for your face before creating your own treatment program. Portability: if you want to be consistent with your at-home microcurrent treatments, it will serve you well to invest in a portable device. You can bring it with you wherever you go. Being well-hydrated improves results, so drink water before and after treatments. Engage in treatments every 4-8 weeks, depending on your age and the condition of your skin. Be prepared to feel warmth or a tingling sensation during the treatments. Start with lower strengths and increase as you adjust to the treatments. The NuFACE Trinity Facial Toning Set comes with the microcurrent device, cleansing cloths, gel primer, lifter serum, and optimizer mist a full treatment process. The NuFACE device is high quality and has been approved by the FDA for at-home use. If you use this device for just 5 minutes a day, you will see marked improvement in your skin. While this set is an investment, it is one that will serve you well in the long run. The results of using the NuFACE for your microcurrent treatments are cumulative, and you will see continued improvement in your appearance and the quality of your skin over time. The Trinity has a professional feel to it and will provide results on par with spa or salon treatments. 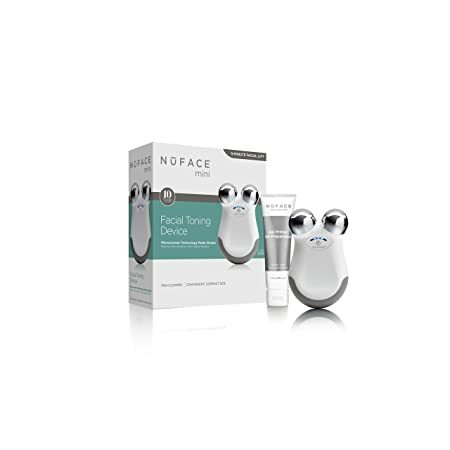 Another option from NuFACE, the mini Facial Toning Set is easily portable and will give you the results you’re after. This set is slightly more affordable than the Trinity set, and comes with the helpful gel primer. The device is petite and will fit in the palm of your hand. This mini microcurrent device will be easy to travel with which means you will not miss any treatments. As long as you use your NuFACE mini on a consistent basis, you will see significant results in the overall improvement of your skin. 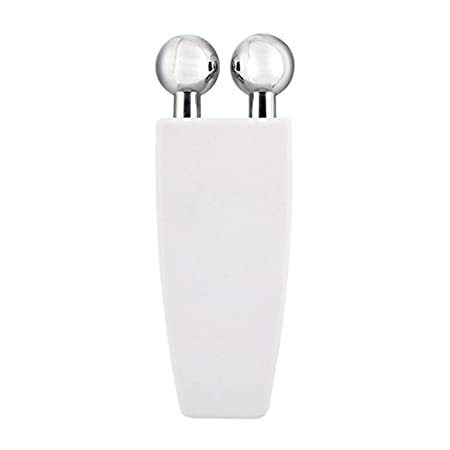 The Eye Zone Lifting Massager is an excellent option if you’re looking for an affordable yet effective option for personal at-home use. This microcurrent machine runs on AAA batteries and is small enough for very easy transport to ensure that you keep up with your treatments. 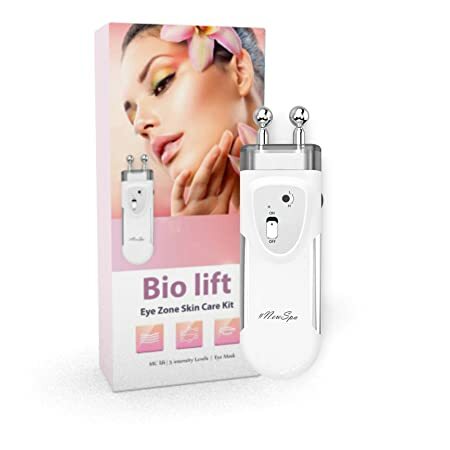 If you’re new to using a microcurrent device, you will be able to find helpful videos to walk you through the process of using your Eye Zone Lifting Massager, as the included instructions are not especially helpful for first-time users. This device is best for use around the eyes and includes a post-treatment eye mask for optimal results. 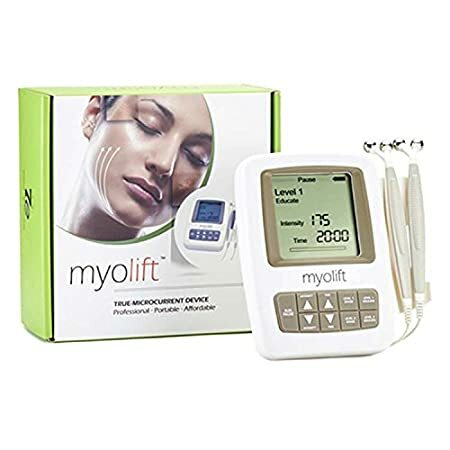 The 7E Myolift Microcurrent Machine is a professional-grade model which has been cleared by the FDA for home use. The machine uses two applicator probes which will give you spa-like results. This machine will work well to improve the quality of your whole face, including the eye area. The device works on a rechargeable battery, and the adaptor is included. The set also includes a 100% natural seaweed conductive gel and manuals and charts to help you learn how to get the most out of your device. The screen is an added touch which is helpful and will help you keep track of each treatment’s timing. The Microcurrent Facial Toning System by Serious Skincare is a reasonably affordable option for your at-home microcurrent treatments. This machine uses two handheld units with contact nodules to provide you with spa-like results. One of the best features of this device is its ability to provide treatment from dual devices. This speeds up the process and makes it more effective, overall. This device uses a standard 9V battery, which lasts for a good amount of time before needing replacement. 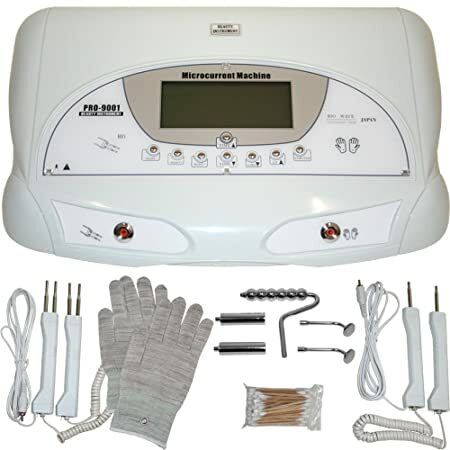 The Skin Care Experts Microcurrent machine is a fairly priced option that provide you with a satisfying experience and cumulative results all from the comfort of your home. The device works cordless and uses rechargeable batteries. This makes it ideal for travel and flexible for use in many situations. The device has a built-in timer which automatically turns it off after 10 minutes of not being in use to ensure that your battery is not wasted. The Skin Care Experts is ideal for everyday use. Use the device for about 10 minutes each day, and you will see the results over time. The CHUHUAYUAN microcurrent device an affordable option to add to your at-home collection. This device is compact and portable for use anywhere at anytime. 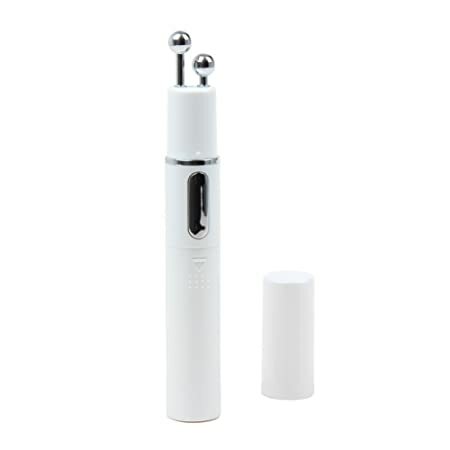 The devices employs vibrating micro-massage using its vibration sensor for a pleasing experience in addition to improving the quality of your skin. The device’s strength settings allow you to customize your treatment from day to day, depending on your preference. Make sure to start your treatments from the left side of your face for the best results! The NORLANYA microcurrent machine is a budget option to invest in if you’re interested in trying microcurrent treatments for the first time just to get an idea of what they entail. This device is extremely compact and can be carried anywhere. The device operates using AA batteries. While this device may take longer for treatment due to its size, it provides pleasant vibration like other more expensive models. This device is ideal for use a trial or backup device, as it is very simple and does not have strength options. Another option from NORLANYA, this microcurrent device packs more power than the previous option, but still comes in at a reasonable price. This device uses vibration and heat penetration to provide you with a spa-like microcurrent treatment experience. You will feel slight shocks during treatment, which let you know that the device is delivering the results you seek. The microcurrent machine comes with a helpful instruction manual to get you started. The LCL Microcurrent machine is an investment that matches the professional-grade machines you come across in spas. If you are already a professional or currently in training, this machine is ideal for practicing or getting your business started. The machine is attractive and has a screen which is lit by LCD backlight for easier reading during treatments. The set comes with the microcurrent wands, cotton swabs, a rolling sphere body electrode, bar electrodes, flat paddle electrodes, and microcurrent massage gloves. Whether you’re a beginning professional or simply someone who wants to take the best care of their face, investing in a microcurrent machine for at-home use will improve your routine. Take the time to consider your needs, and choose the right device for you!